Posted: Monday, March 14, 2016. 3:52 pm CST. By BBN Staff: Three persons have been detained by police in connection with a Sunday morning shooting in Belize City that took the life of 34-year-old Tanika Lemoth and injured three other persons who were inside a taxi on Fabers Road. Police arrived in front of St. Johns Vianney Church around 4:20 a.m., where they saw 31-year-old taxi driver Jaime Villanueva and 33-year-old Doris Gilharry lying on the street with gunshot wounds, while Lemoth and 34-year-old Hanifa Flowers were inside the Toyota Camry taxi, suffering from injuries as well. The taxi was crashed into a cement wall and had seven bullet holes in it, one of which struck Lemoth, killing her before she got to the Karl Heusner Memorial Hospital (KHMH) and Flowers, although not struck by any of the bullets, received injuries from the crash since she was in the front passenger seat. 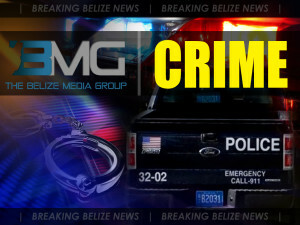 Initial investigations revealed that around 4:10 a.m., the taxi was heading towards Central American Boulevard when a vehicle suddenly approached from behind and fired several shots at it, causing the injuries and damage. While processing the scene, police found three .9 millimeter Luger SPL expended shells.